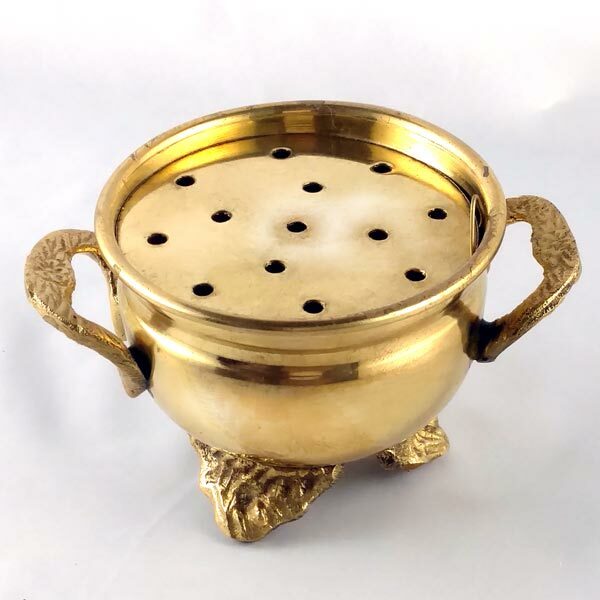 This brass screen burner has been sculpted into the shape of a cauldron, making it a quaint addition to the home and a beautifully symbolic addition to your sacred space or altar. The removable screen on this incense burner allows ash to fall through, while keeping a charcoal disk burning. Also great for burning rope incense. Size: 3" in diameter and 2-1/2" tall.